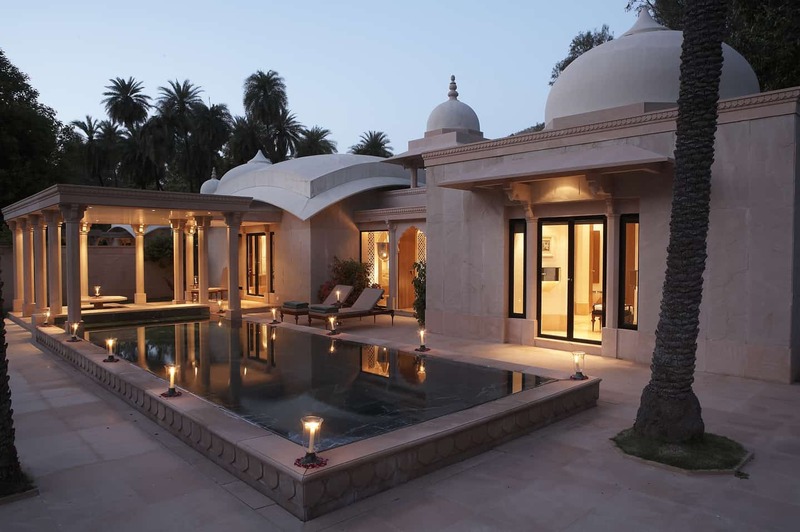 Amanbagh is located in the shadow of the Aravalli Mountains at a distance from the hustle and bustle of the Rajput capital city of Rajasthan. 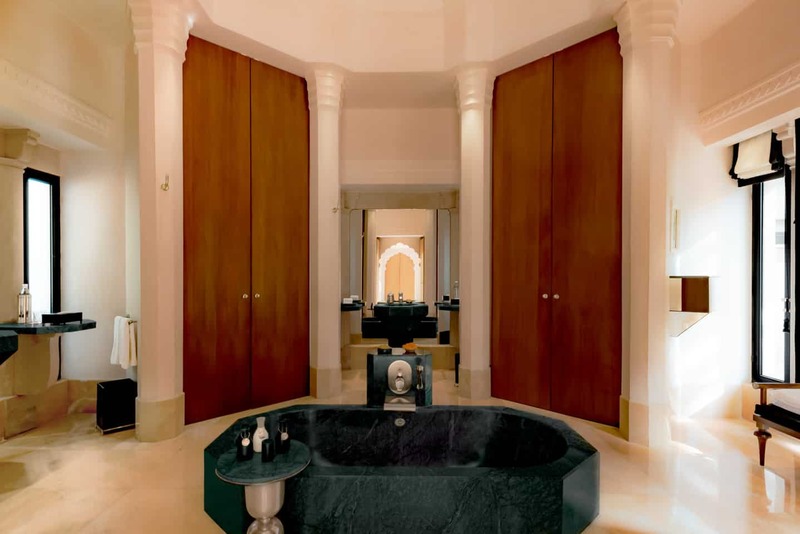 This former maharajah’s residence was converted into a luxury hotel in 2005 and still features the sovereign’s private rooms. 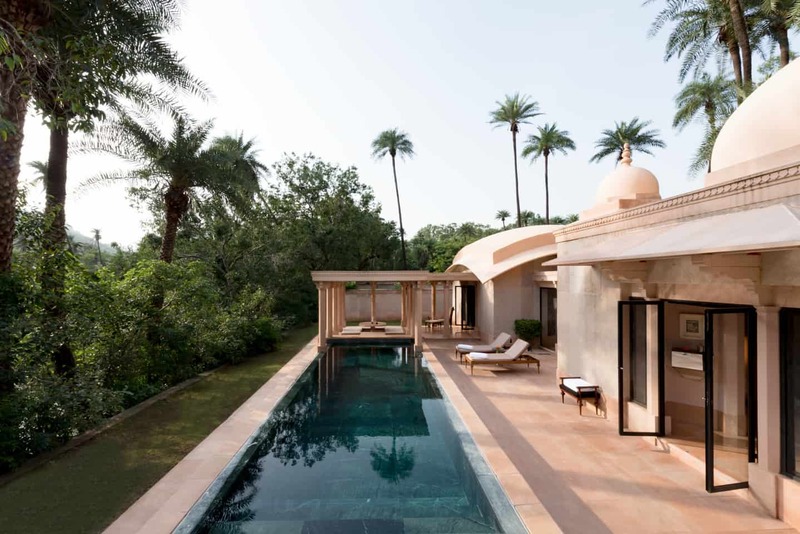 It is a sanctuary set in the arid Aravalli hills, 90 minutes from frenetic Jaipur, the property is surrounded by mature palm, fruit and eucalyptus trees, which shade the emerald-green pool. 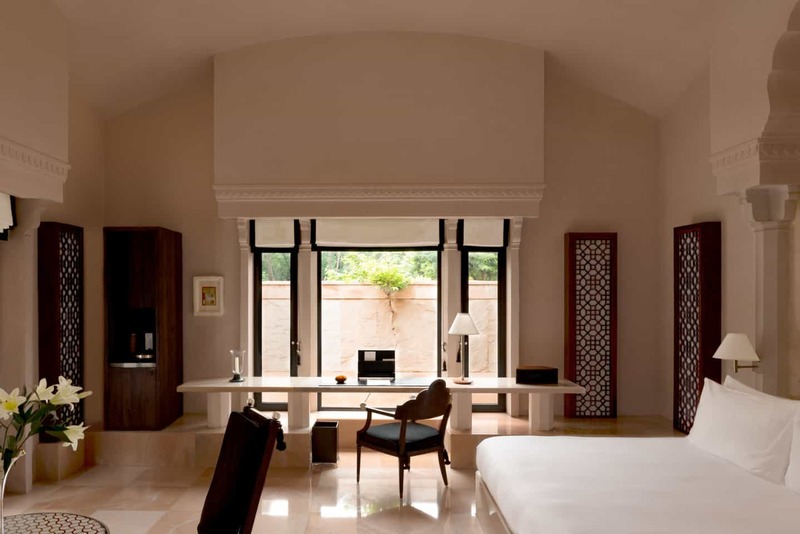 Set into two storeys, the suites and the Pavilions enjoy private outdoor spaces. 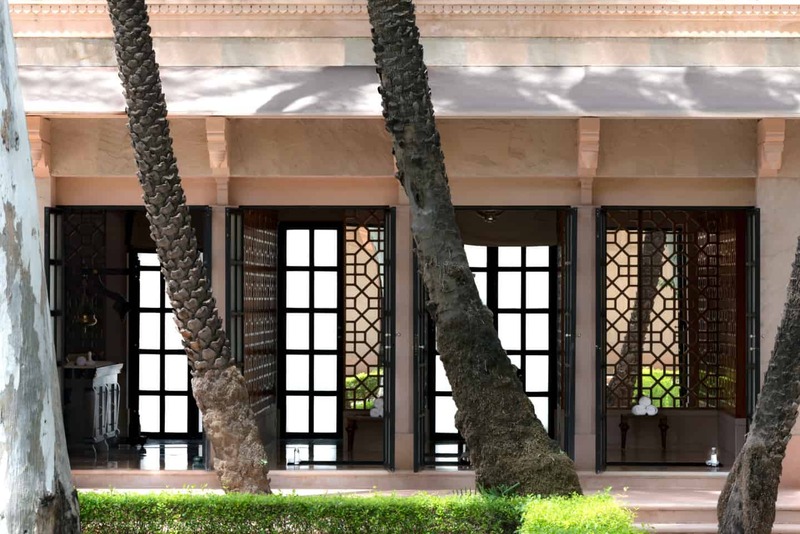 The marble interiors contain superb wall frescoes, casting a veil of elegance over this former palace. 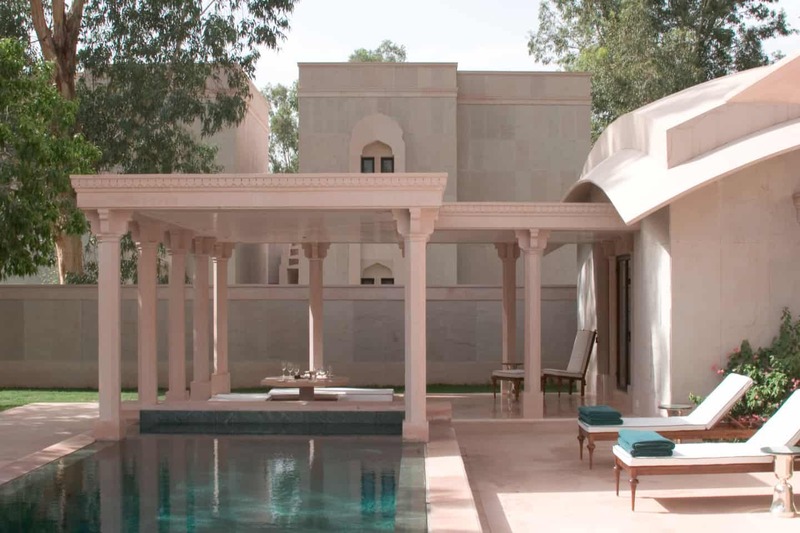 The Amanbagh, which means “peaceful garden”, honors the 17th century Indo-Moslem floral tradition, and represents a modern-day Mughal palace, carved out of local pink marble and sandstone, with scalloped arches and cupolas. 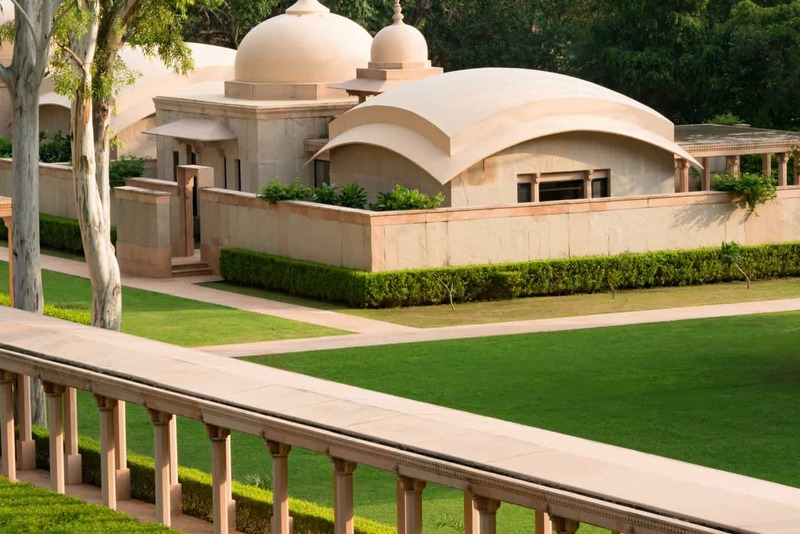 The Amanbagh is an ideal stop for appreciating the splendor of the landscape of this “country of kings”, and a truly worthy member of the prestigious Aman resorts. 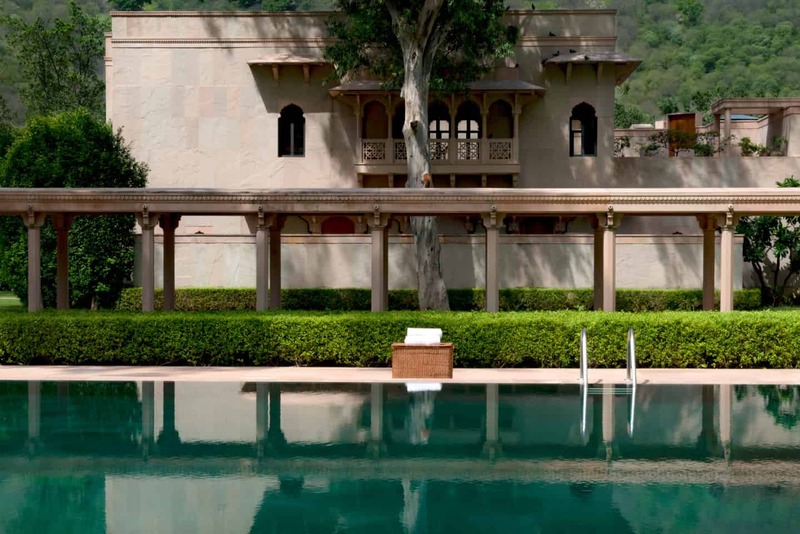 The pool pavilions are part of the highest category of rooms at Amanbagh. 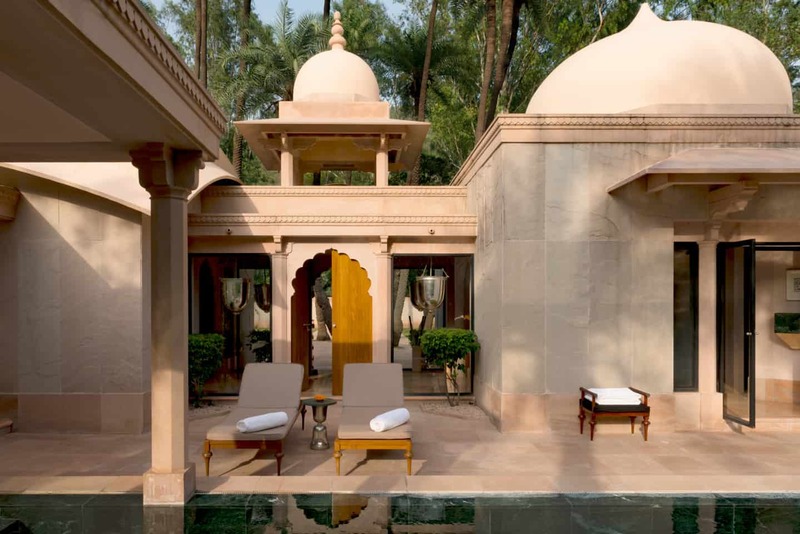 A pool pavilion features a 203 sqm (2,185 sqft) standalone mini-haveli with Mughal-inspired domed cupolas, a spacious garden courtyard (occasionally populated by monkeys) and a 9m x 3m swimming pool, a large bedroom, foyer and bathroom, at the centre of which lies an enormous bathtub carved from a single slab of Udaipur green marble. 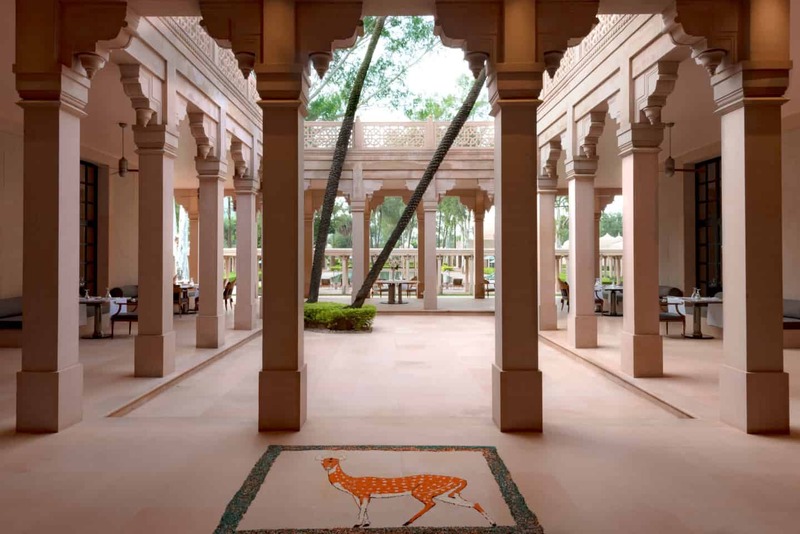 Each pavilion or haveli is equipped with a large ‘monkey stick’ that can be used to tap the floor to ward off intruding and curious monkeys that can come in the back garden. 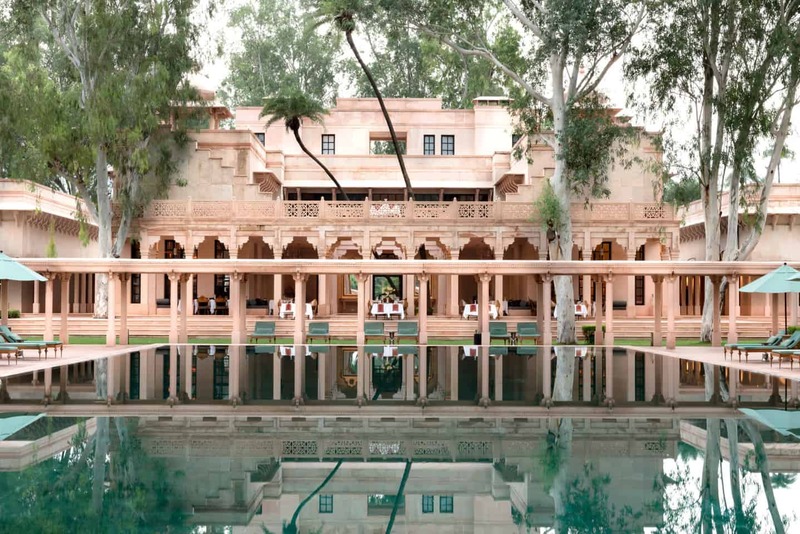 The retreat is designed by architect and designer, Ed Tuttle, creator of many Aman resorts, and his masterpiece is always the main pool and structure – here, a modern interpretation of a haveli in pink marble sandstone finish reflected beautifully in a calm 33-meter-long emerald-green marble pool with a 12-meter wading pool just beyond. 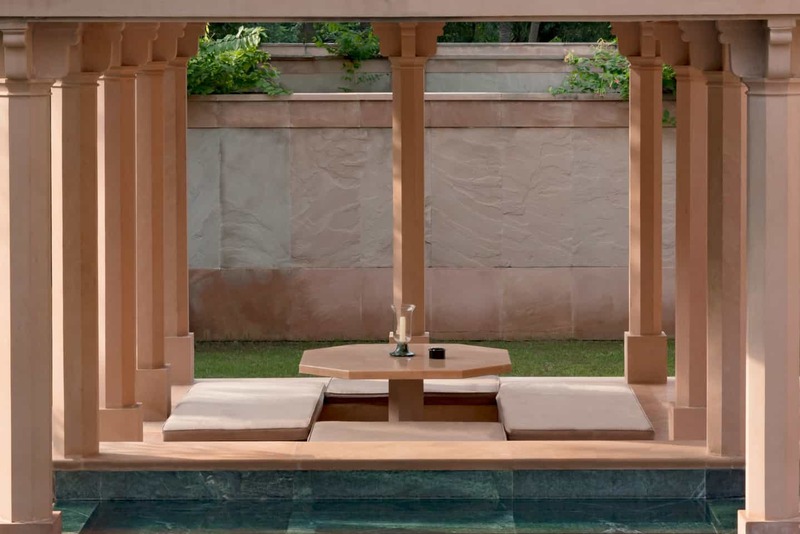 Amanbagh has wellness immersions that include yoga and meditation classes and several South Asian spa treatments that have been around for millennia, and rejuvenation through Ayurveda – a term combining ‘life’ and ‘science’ in Sanskrit, and an experience which is all-encompassing including Ayurvedic spa therapies, a meal plan and yoga and meditation based on your type. 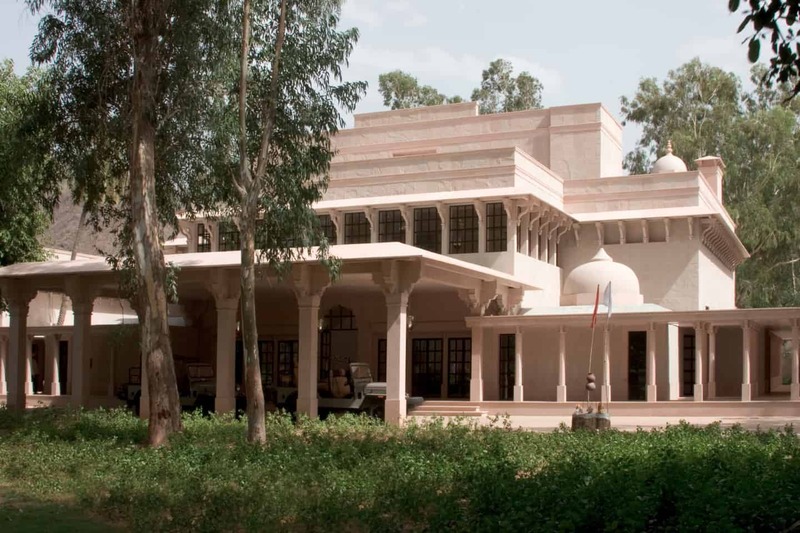 The library contains a variety of reference books on Indian history, arts, culture and wildlife as well as a selection of novels and magazines. 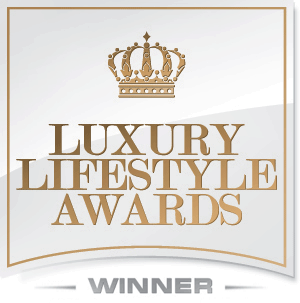 A handcrafted croquet set is available for guests’use in the garden. 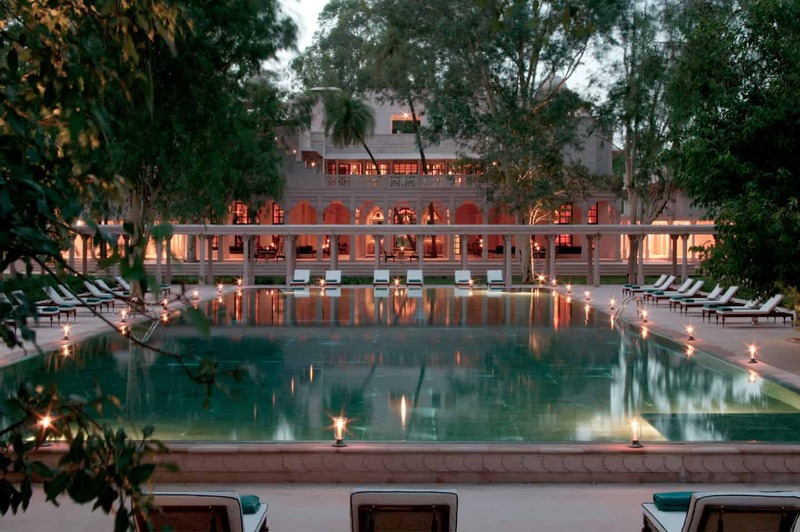 Food at Amanbagh, in classic Aman-style, is a refined take on homely regional Indian cuisines. 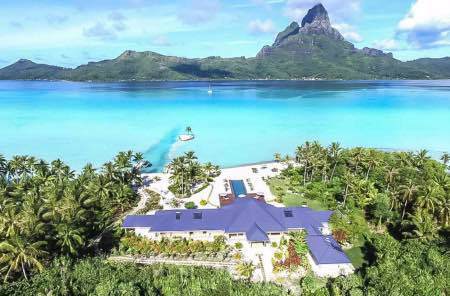 The only restaurant at the this resort is open for breakfast, lunch and dinner. 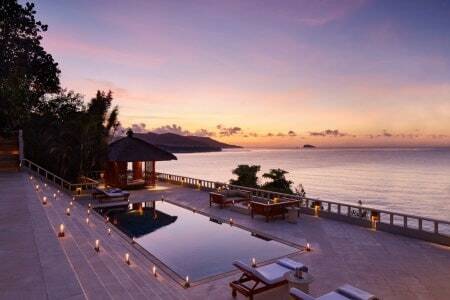 It is a grand setting area, with soaring ceilings and colonnades, overlooking the tree-shaded pool. 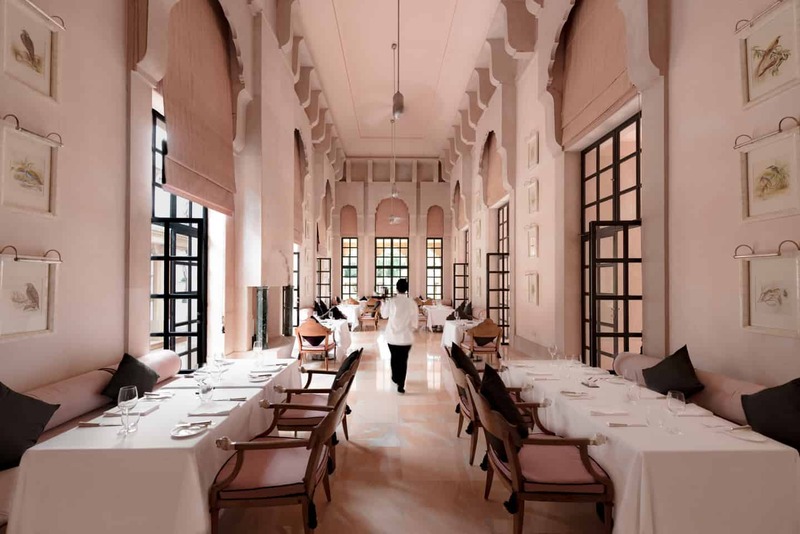 The traditional Rajasthani dishes are combined with chefs’favorites from across India, all of which can be tailored to suit individual tastes. 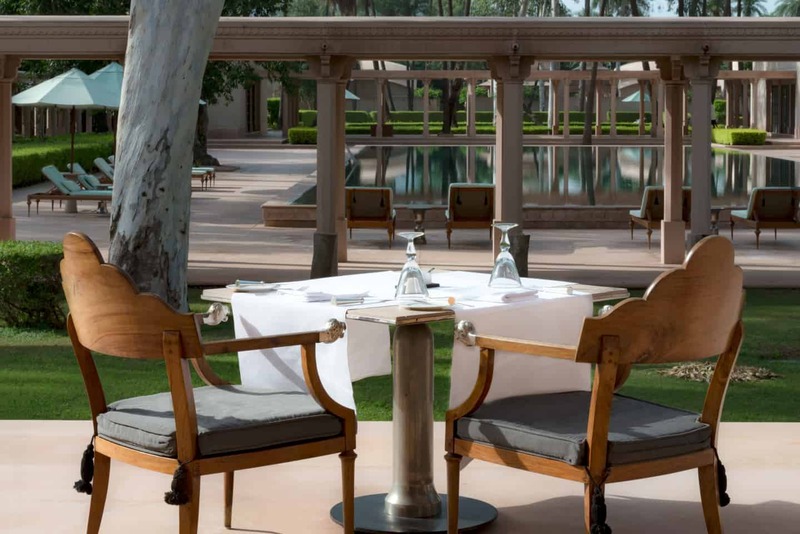 But while dining in the serenity of the main pool sounds enticing, it is the private dining venues at Amanbagh that elevate the resort to its position as one of India’s finest. While our private dining experience was a special set up featuring a traditional Rajasthani thaali (plate) in our pool pavilion due to inclement weather, we did get a chance to scope out the other private dining venues, including: Jhilmil Baada, an open ground amid tall elephant grass and bamboo mashaals, where the royal cooks once served sumptuous feasts from the hunt to the Maharajas decorated by lanterns and fire; picnic options include the wilderness of Sariska National Park or the mud-walled guwaadi near the garden or near Bhangarh; but the resort’s most splendid experience is the ancient chhatri, a dome shaped pavilion or canopy, near Ajabgarh dam. 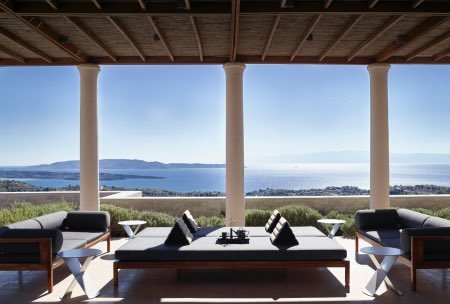 For more private events you can arrange your dining experience on the rooftop that boasts sweeping views from an elevated position above the tree canopy. 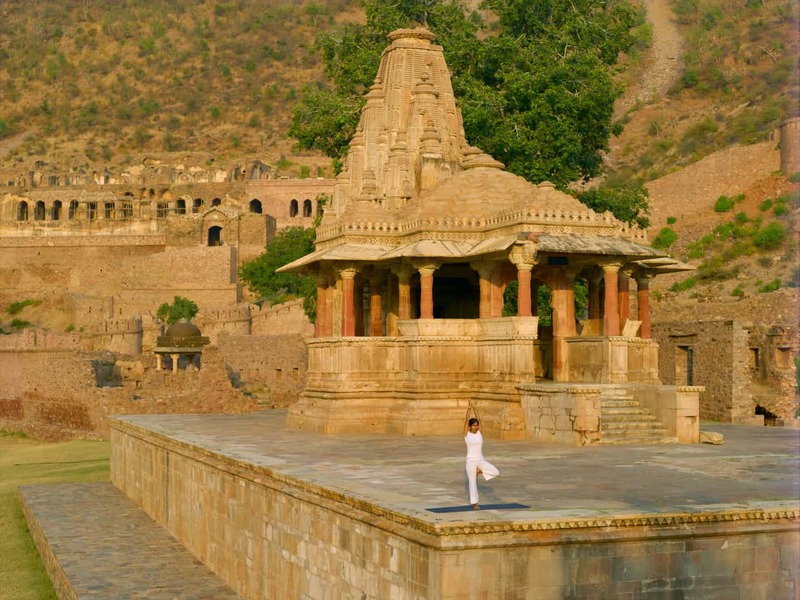 There are many activities and excursions you can choose from when you stay at Amanbagh. 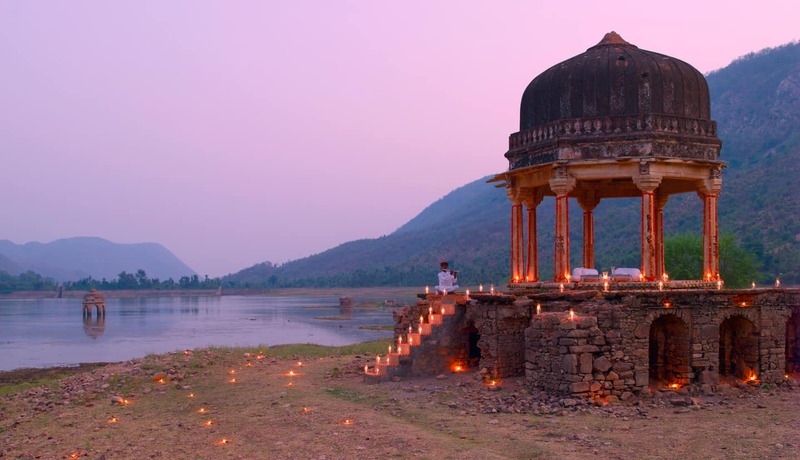 The cow dust tour involves a Jeep ride into the local village in the afternoon, when cows, goats, sheep and buffalo are being herded home, or at sunrise to the scent of cooking fires being lit as the village comes to life. 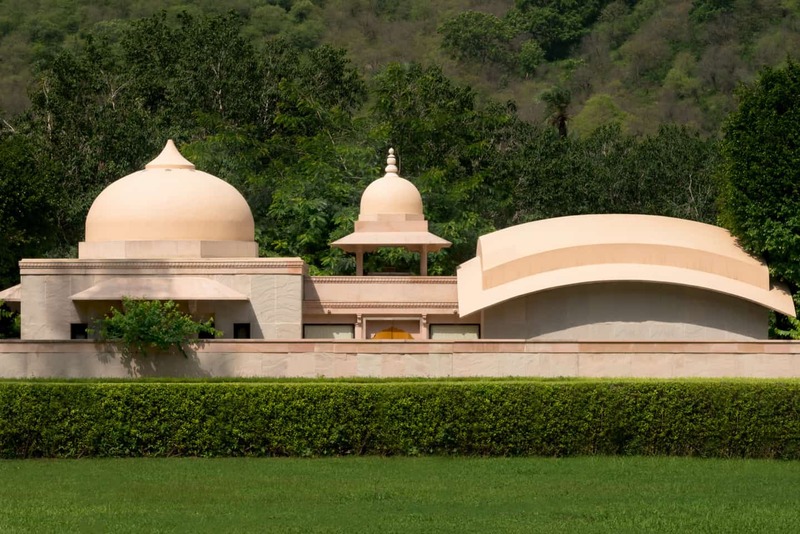 Amanbagh is surrounded by different ancient sites from the forts of Ajangarh and Pratapgarh to the temple town of Neelkanth and the site of Narayani Mata. 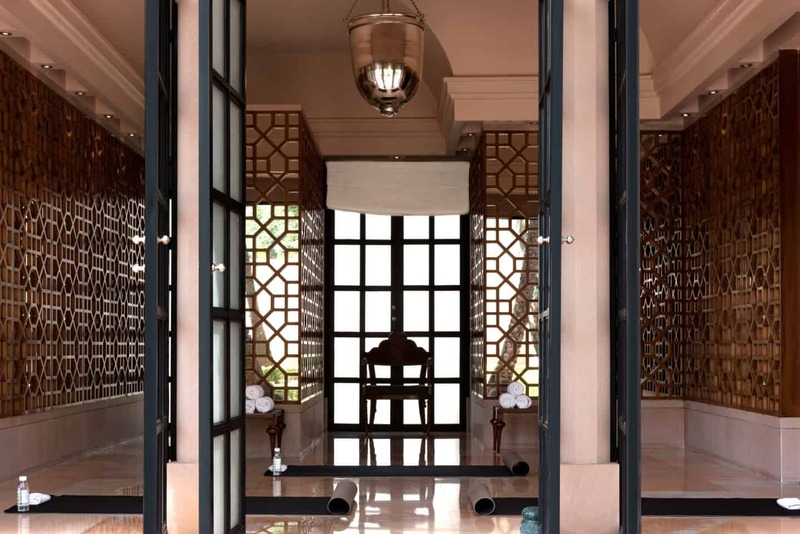 You can enjoy walking, hiking and camel rides during your stay. 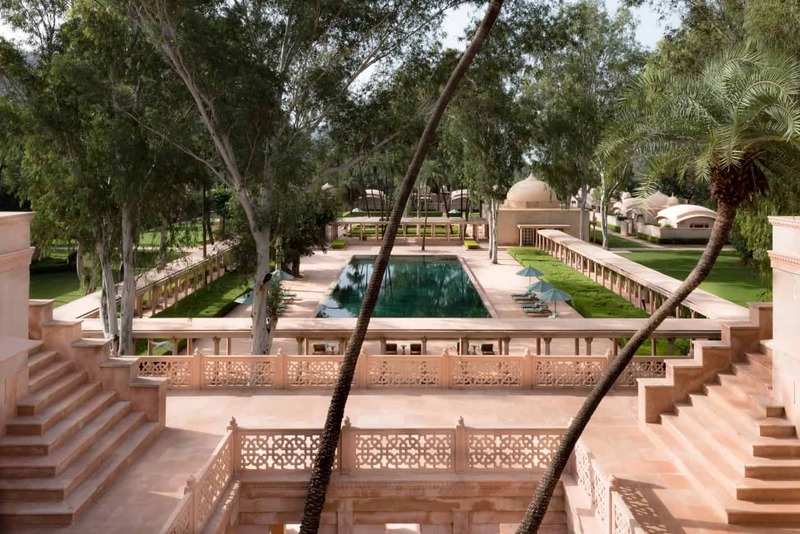 The experience of the countryside around Amanbagh by camel. or in a camel-drawn cart is a not to miss experience. 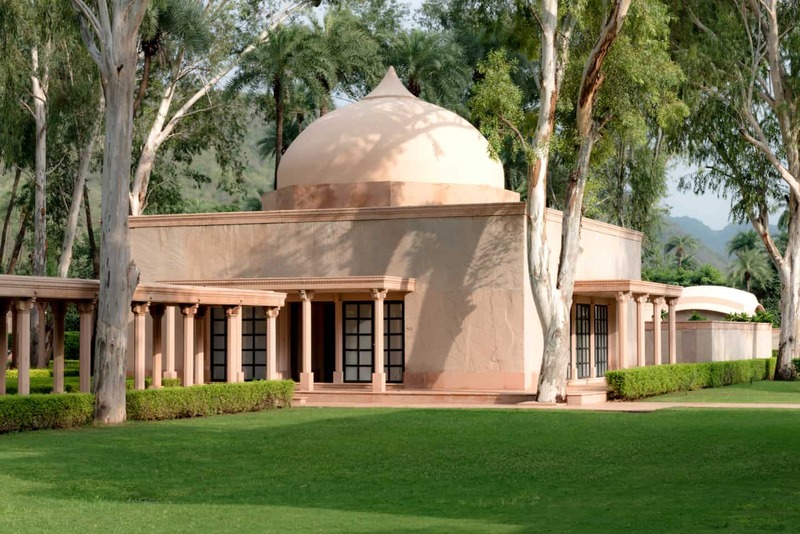 Amanbagh is served by the airports of New Delhi, Mumbai and Jaipur. 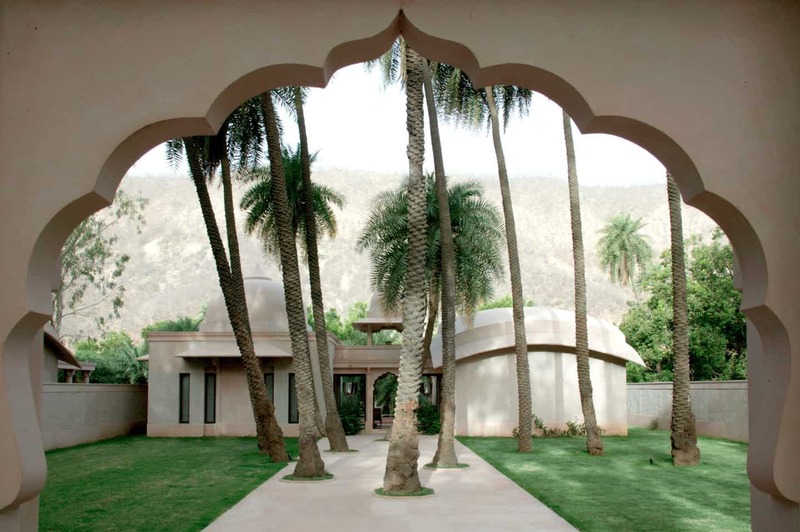 Getting There: Amanbagh is served by the airports of New Delhi, Mumba and Jaipur From New Delhi, it is possible to travel to Amanbagh by car, train or helicopter (the property has its own heliport) through most guests take a flight to Jaipur, then a two-hour journey by private car Flights from Delhi to Jaipur depart several times daily and take between 45 to 60 minutes, flights from Mumbai depart several times daily and take an hour and 40 minutes.